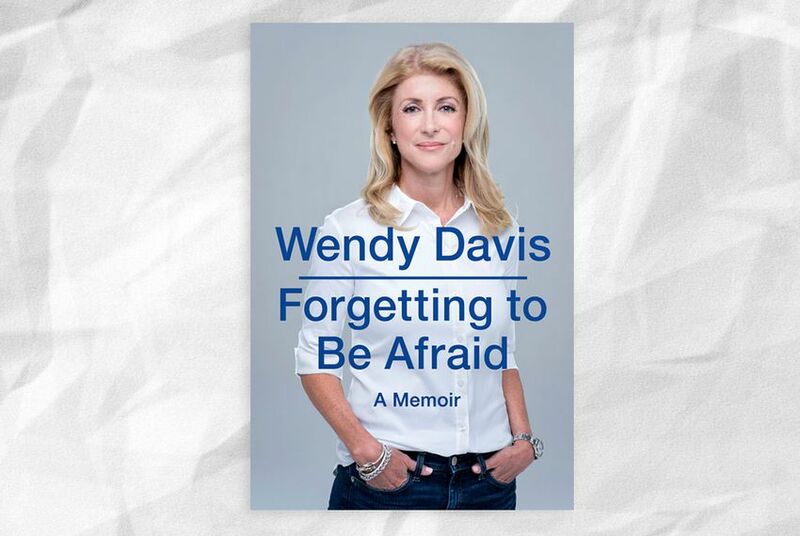 State Sen. Wendy Davis, the Texas Democratic candidate for governor, has titled her upcoming memoir Forgetting to Be Afraid: A Memoir, according to her publisher. The soon-to-be published memoir from state Sen. Wendy Davis has a title and a cover. Davis, the Fort Worth Democratic senator who shot to national prominence after filibustering a Texas bill restricting abortion access, has titled her first book Forgetting to Be Afraid: A Memoir, according to the publisher's website. The memoir is scheduled to be released on Sept. 2 by Blue Rider Press, an imprint of Penguin Random House, two months before the general election in which Davis and Republican Attorney General Greg Abbott are both vying to replace Gov. Rick Perry. It is expected to cover Davis’ life story, including her Texas upbringing and struggles as a single mother, which included briefly living in a trailer and later graduating from Harvard Law School. The book is likely to address questions raised by critics about whether Davis ever exaggerated the difficulties she faced in balancing her career ambitions and her family life. Davis announced her book deal in November and has worked on the book while simultaneously campaigning for governor. The book’s cover, as posted on Penguin’s website, shows a simple photo of Davis smiling in jeans and a white blouse.